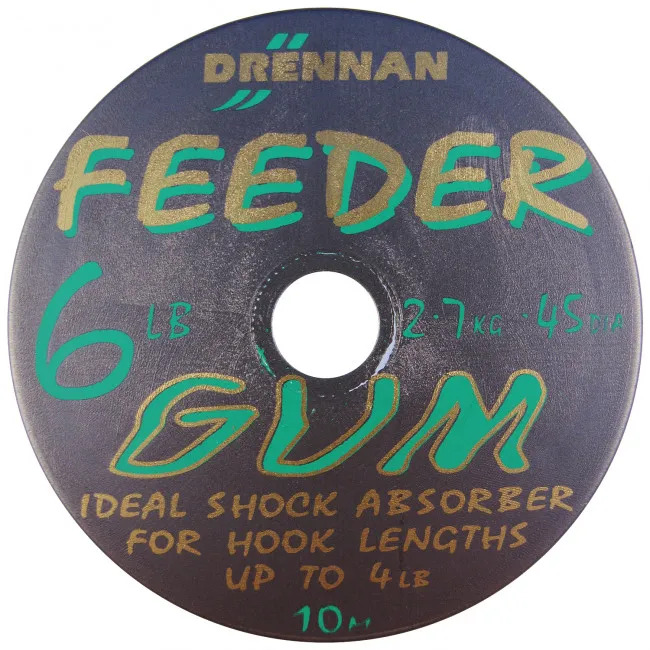 Drennan Feeder Gum can be used as a shock absorber while using braided main lines. Available in 4lb, 6lb and 8lb the powergum leader will absorb all the shock on the strike and prevent you snapping hooklengths. Feeder Gum also makes a great material for feeder bungee links.